Sultan Pir Sayyid Mohammad Bahadur Ali Shah was born on 16th August, 1801 AD (5th Rabi’ ath-Thani, 1216 Hijri) in Shorkot, District Jhung, Pakistan (then India). He holds the status of 28th Shaikh of Sarwari Qadri order. His ancestors basically migrated from Mashhad (Iran). His genealogy eventually reaches Ali ibn Abi Talib through Sayyid Imam Musa Kazim of Mashhad, Iran. That is why Kazmi and al-Mashhadi are parts of his name. When Bahadur Ali Shah was eight years old his father decided to take him to a religious institution in Multan. On the way, they stayed at the shrine of Sultan Bahoo for seven days. Afterwards, his father left him at the institution for education. However, when his teacher started the lesson, he was highly amazed. As, Sayyid Bahadur Ali Shah already knew whatever he wanted to teach him. He had complete command over all the branches of religious knowledge. Even, he had learned the Holy Quran by heart. Thus, the teacher called Sayyid Bahadur Ali Shah’s father and told him the whole situation. Thereupon, his father asked him from where and when he gained all that knowledge? Bahadur Ali Shah replied that Sultan Bahoo spiritually blessed him with entire religious knowledge during his seven-day stay at shrine. Thus, Sayed Bahadur Ali Shah’s father took him back to Sultan Bahoo’s shrine and left him there. He stayed at the shrine for forty years. During those years he performed many services. His greatest service is collecting, compiling and writing Sultan Bahoo’s books. After forty years, in 1849, Sultan Bahoo esoterically ordered him to go back home and come to shrine every month. Then, in 1861, Sultan Bahoo ordered him to go to Shorkot and take oath of allegiance upon the hand of Pir Mohammad Abdul Ghafoor Shah. Sayyid Bahadur Ali Shah obeyed the orders and went to Shorkot to take oath of allegiance. Afterwards, he made it a routine to spend the day in service of his spiritual guide (Murshid). While, at night he went to the shrine of Sultan Bahoo. Hence, he got beneficence from Sultan Bahoo as well as Pir Mohammad Abdul Ghafoor Shah. Resultantly, he elevated to unimaginable heights of Faqr. Pir Abdul Ghafoor Shah passed on the Divine Trust of Faqr to Sayyid Bahadur Ali Shah before death. Whereas, Sultan Bahoo granted him complete authority over the treasure of Faqr. Furthermore, he made a great revolution in the path of Faqr. That is, he made the real gold Ism-e-Allah Zaat for the first time. And gave them to the seekers for invocation (zikr) and contemplation (tasawur). Pir Bahadur Ali Shah wrote various eulogies and mystic poems for the travellers of the spiritual path. His poetry is very famous among the followers of Sarwari Qadri order. Al-Ghawth al-Azam Shaikh Abdul Qadir Jilani bestowed the title of Shahbaz-e-Arifaan upon Pir Bahadur Ali Shah. It means ‘the falcon of Mystics’. 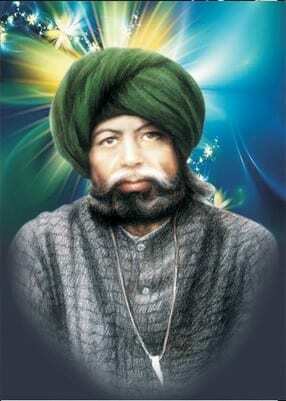 Pir Sayyid Bahadur Ali Shah died on 27th February, 1934 (14th Dhul al-Qadah, 1352 Hijri). 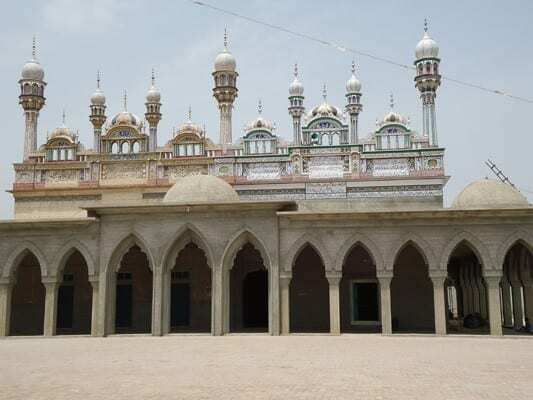 His shrine is in Shorkot, District Jhung, Pakistan. His death anniversary is held every year on the 25th, 26th and 27th of February. For detailed study of life history of Shahbaz e Arifaan Sultan Pir Sayyid Mohammad Bahadur Ali Shah, please study Chapter # 4 of The Spiritual Guides of Sarwari Qadri Order.